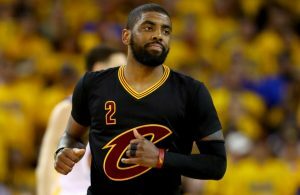 (Cleveland, OH) – In arguably their most complete performance of the year, the Cleveland Cavaliers (24-20) demolished the Charlotte Hornets (18-26) by a score of 129-90 on Friday night at Quicken Loans Arena. In a seemingly flawless game, the Cavs dominated the Hornets from the opening tip and led by as many as 49 points on multiple occasions. “You can’t stop the train in the middle of the tracks when its rolling at the pace it was tonight,” joked Cleveland Cavaliers head coach David Blatt on his team’s victory. Despite a Charlotte team that had won eight of its previous nine games and was ranked seventh in the NBA defensively, the Cavs smothered the Hornets on offense and defense. Charlotte had held its previous three opponents to 80 or fewer points, but the Cavs managed to lead 75-40 over the Hornets at the half. LeBron James led the way for the Cavs in limited minutes with 25 points, nine assists, six rebounds and four steals in the blowout victory. Newcomer J.R. Smith showed his value tonight as he continuously drained three pointers on the Hornets, which accumulated to 21 points (seven of 11 from behind the arc) to go along with four rebounds and four assists. 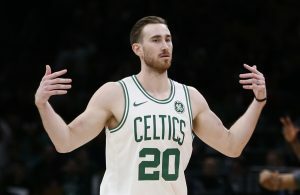 During the second quarter, the two brought the home crowd to its feet when Smith lobbed a half-court alley-oop to James, who threw down a powerful dunk to pad the Cavs’ lead up to 60-27. “He’s (not only) given us great attitude but fantastic basketball; he’s a great fit for this team,” said coach Blatt on Smith’s contributions. Timofey Mozgov, who had been described by James as a “walking double-double,” had 14 points and 10 rebounds on the night en route to his fourth double-double in eight games. Every starter, including Kyrie Irving and Kevin Love, was benched for the entire fourth quarter as every player on the Cavs roster received minutes and scored at least one basket. Irving played yet another game of stellar defense, as Hornets points guard Kemba Walker was held to just three baskets on 14 shots attempted from the floor. A statistic that jumped off the page was the three-point disparity between the two teams. With Cleveland going a superb 15 of 28 from three-point range, Charlotte only managed to sink a meager two treys out of 16 attempts on the night. In the blowout loss, Hornets center Al Jefferson came off the bench and was one of the lone bright spots for Charlotte as he produced a double-double with 22 points, 11 rebounds and three blocks. Guard Lance Stephenson also provided a spark off the bench as he scored 10 points, dished out nine assists and grabbed four rebounds. Michael Kidd-Gilchrist, the number two overall pick for Charlotte in the 2012 NBA Draft, scored 15 points to go along with seven rebounds in 23 minutes of play. The Cavs scored a season-high in points with 129 in the massacre of the Hornets, and to a standing ovation upon entry into the game, Iman Shumpert made his debut for Cleveland. 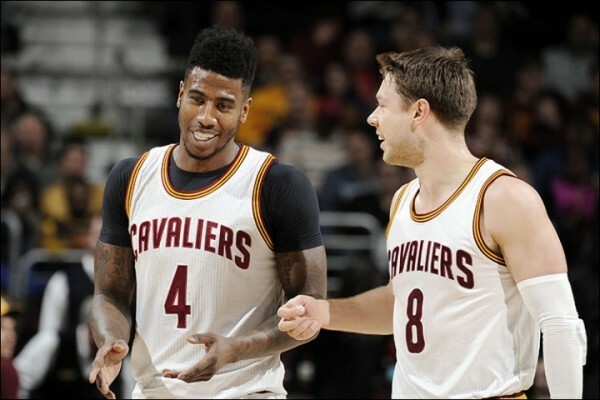 Despite only having played 10 minutes in his first game back from a dislocated shoulder, Shumpert made his presence felt defensively and scored eight points to go along with two rebounds and two assists. 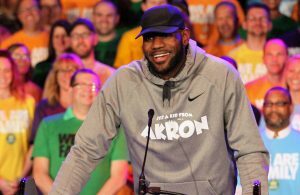 With the sights locked on winning their sixth game in a row, the Cavs will host the Oklahoma City Thunder (22-21) at Quicken Loans Arena on Sunday afternoon. The game will tip off shortly after 3:30 pm ET and will be broadcast nationally on ABC.